On August 7th of this year, over 3,000 people participated in a 5k run/walkathon at Yankee Stadium to raise money for cancer research, on behalf of the Damon Runyon Cancer Research Foundation. Such races and walkathons are increasingly common, as participants ask their friends, families, and co-workers to sponsor them in these minor feats of endurance, at a dollar or two per mile. The proceeds go to the cause the runners and walkers support. In the case of the Runyon 5k, the participants raised $640,000 for the Foundation, an excellent result. But not all fundraisers are so pedestrian — literally. On December 4, 1958, at 3:53 in the afternoon, Robert Timm and John Cook took the runway at McCarran Airfield in Las Vegas aboard a Cessna 172, such as the one pictured above. Their goal: to stay in flight for as long as possible, as a fundraiser for the same Damon Runyon Foundation spoken of above. Their result? Sixty four days, 22 hours, 19 minutes, and 5 seconds airborne — by far, the longest continuous flight in history. Sleeping was also problematic, as only one of the pair could sleep at a time, and the Cessna did not have a natural spot for a bed. To fix this, Timm and Cook removed the passenger seat and instead used that extra space as a makeshift loading dock and sleep area. Unfortunately, this turned out to be inadequate sleeping quarters, redoubling the fatigue which came from sleeping for only two or three hours at a time. According to one account, at one point, Timm fell asleep at the pilot’s controls for about twenty minutes. When he came to, he realized that during his catnap, the plane was on a flight path which necessarily required them to have crossed a mountain range. Thankfully, the autopilot navigated the course successfully. On February 4, 1959, the Cessna landed triumphantly back at McCarran Airfield. The trip came to an end due to engine troubles — the plane, after its engine was in constant use for over 1,500 hours, was having difficulty regaining altitude after its daily refueling runs. 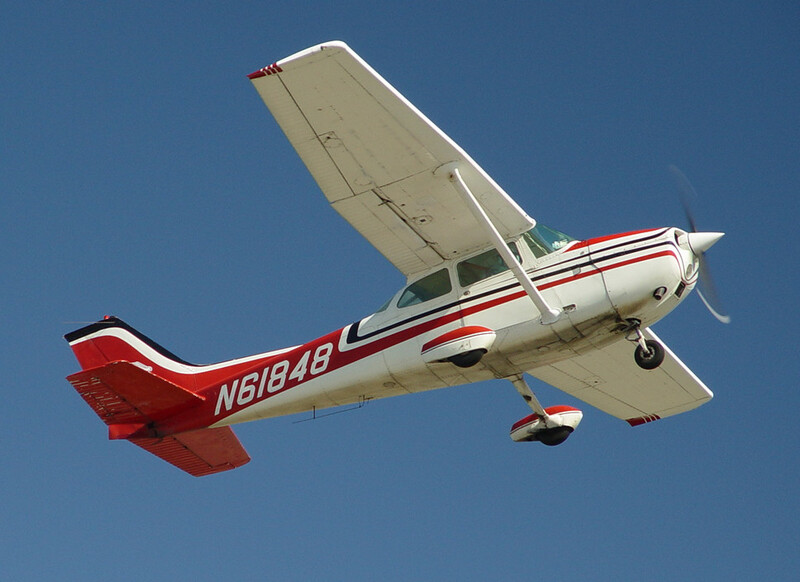 In all, the Cessna traveled the equivalent distance of six times around the world during its record-setting flight. This famous airplane has, thankfully, been preserved. It currently hangs on display at McCarran International Airport in Las Vegas, as seen here. Bonus fact: The first-ever telethon was also in support of the Damon Runyon Cancer Research Foundation. In 1949, just three years after Runyon died, Milton Berle hosted a 16-hour telethon on NBC for the Foundation’s benefit. The telethon raised $1.1 million — accounting for inflation, that is roughly $100 million in today’s dollars. From the Archives: The Spirit of Butts Farm, the tale of a transAtlantic flight of a radio-controlled model airplane. Related: “Guys and Dolls and Other Writings” by Damon Runyon.